In the latter part of 1983 Porsche executives were worried. 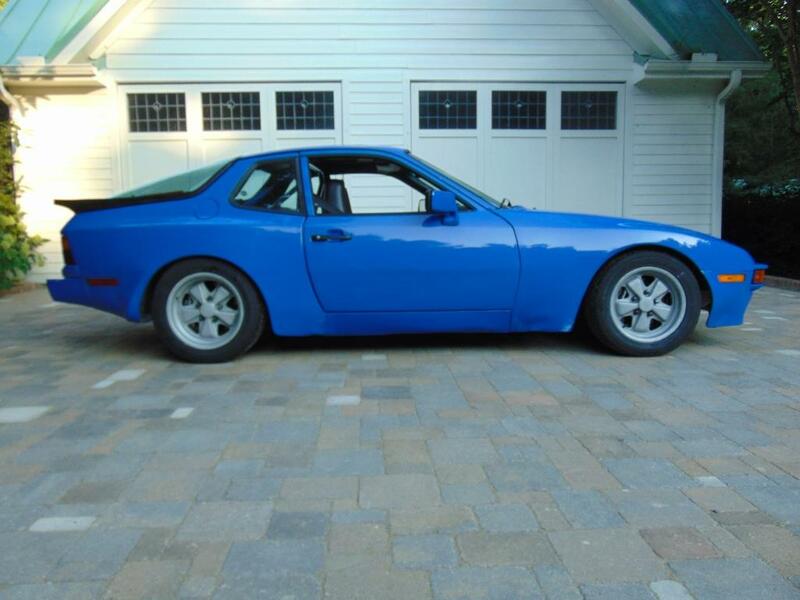 Sales of their “entry level” Porsche, the 944, were starting to taper off. 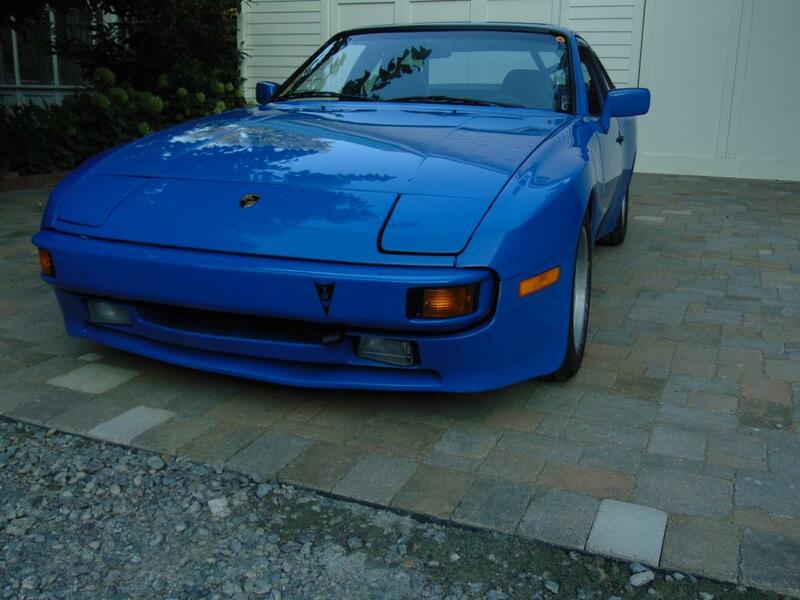 Plans were in the works for a “facelift” of the 944 but the release of this model was still several years out. 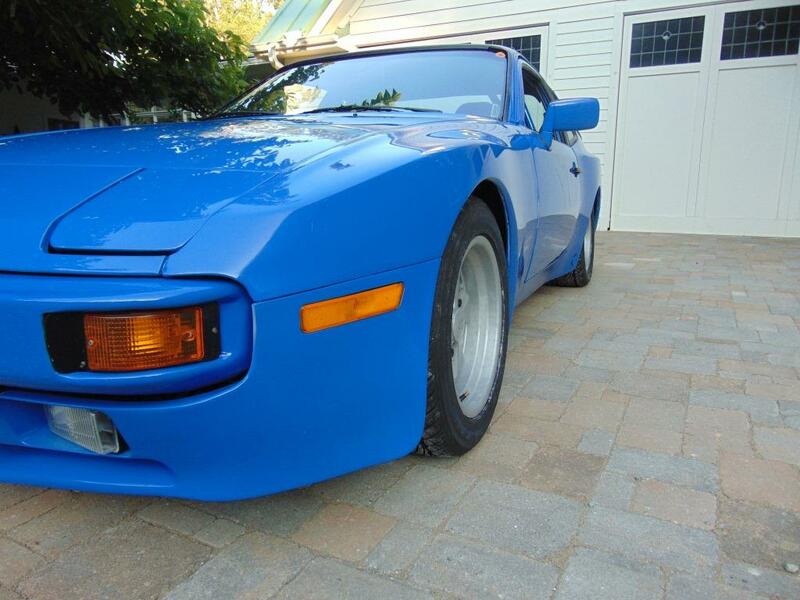 Looking farther down the road, Porsche was working on a turbocharged version of the 944, which history would show to be a major success for the company. But in the meantime, Porsche showrooms needed something to entice new customers. So Porsche applied their tried and proven practice of producing a limited production, special interest model to pique showroom traffic. 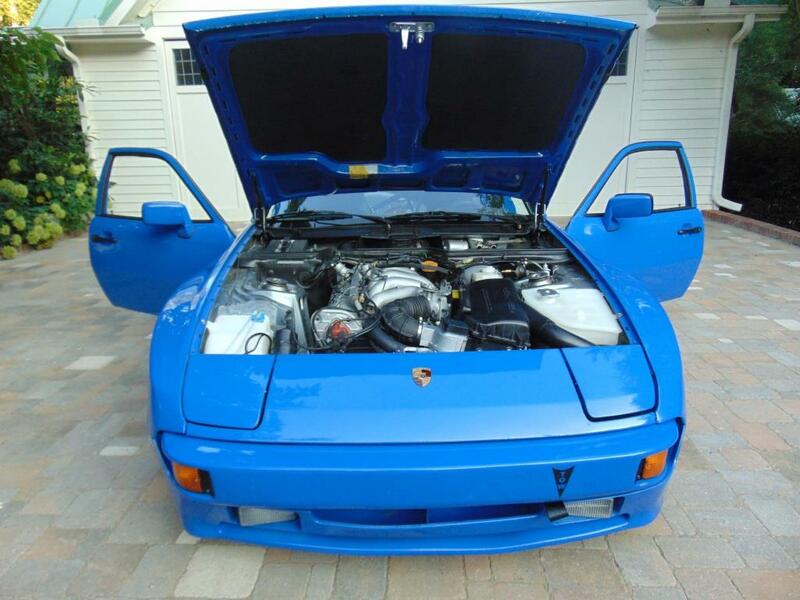 They consulted with their Rennsport (German for Motor Racing) division to develop a special model of the 944. It would come to be known as the 944R. The concept was simple, as was necessary to keep costs under control. Take an existing Porsche street car and optimize it for track use, while maintaining street legality. Porsche did for this car what they did for others in this lineage. They reduced weight where ever they could and applied a more performance oriented suspension setup. Weight reduction included AC, radio, power steering, and rear wiper delete as well as reduced usage of heavy sound proofing materials. Simplified door panels were designed with a simple pull strap in place of the interior latch handle and a minimalist handle for pulling the door closed. A small map pocket was supplied for sunglasses and small personal items. The rear seats were deleted and a light weight Sliverknit carpet was used throughout. 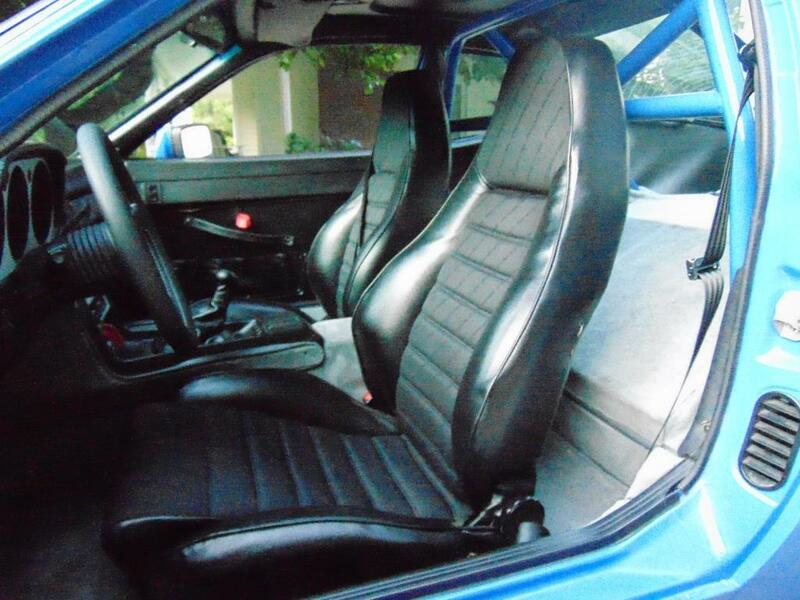 Porsche Sportseats (as designed by Recaro) were specified both to save weight and provide additional side support during cornering maneuvers. 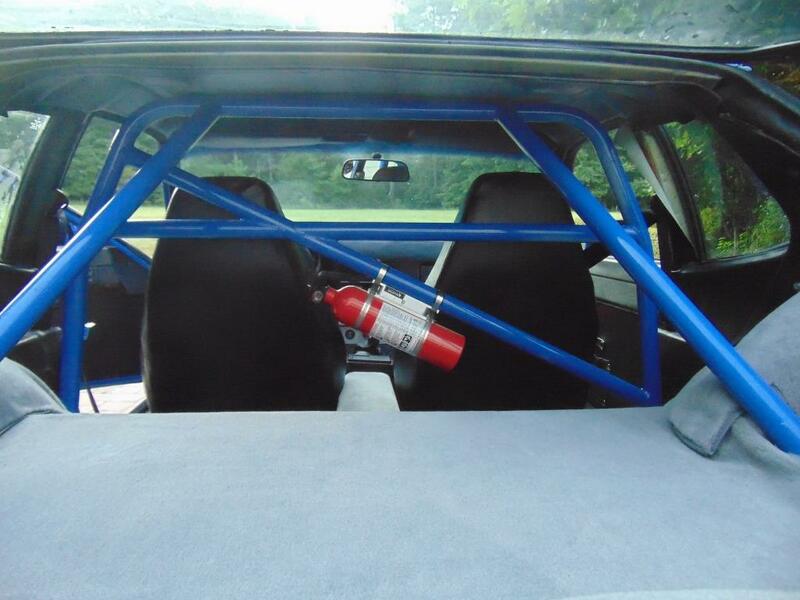 As the car was destined for track use, a lightweight (38 mm Φ x 3 mm thk) DOM tubing rollbar was installed. A padded dash was used and an electric kill switch was placed in the opening where the radio would have resided. The collapsible spare tire was maintained but, weighing in at 17 kg, it was expected that the spare and associated jack would be removed during track use. A tow point was supplied at the front bumper. The suspension setup started with 225 mm wide tires with a square setup at the 4 corners of the car. Lightweight 15” Fuchs wheels were specified. The stock ride height was lowered by 25 mm at the front and 20 mm at the rear, providing a slight rake to minimize any tendency for the front end to become light at higher speeds. 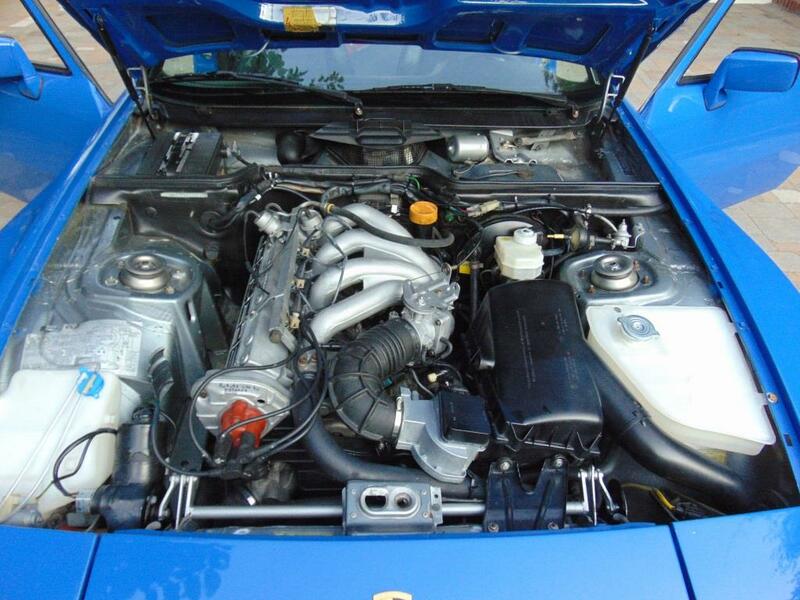 The 944 already achieved a 50:50 weight balance with its front engine / rear transaxle design and this arrangement was maintained for the R spec car. Koni dampers and heavier sway bars were specified, with 23 mm bars being used at the front and 18 mm bars at the rear, to provide a more stable platform with less body roll during serious cornering maneuvers. Most rubber suspension bushings were replaced with firmer spec items in order to attenuate suspension compliance. The stock Porsche brakes were maintained as they were found to be more than adequate as designed. A Momo Prototipo steering wheel was provided to help fully engage the driver with the track. The stock 2.5 L in-line 4 cylinder engine was maintained, although assembly of each engine was carefully conducted by a single Porsche engine specialist using the tightest tolerances. As with the stock engine, cold air was introduced via an intake placed in the driver’s side wheel well. The end result was a very capable track vehicle that weighed in at roughly 1134 kg (2500 lbs) without fuel or driver. This represented a 100 kg savings over the standard street car. Unfortunately, as with many Porsche special models, the bumpers and other small items on this car did not meet US DOT specifications and thus the car was never available for sale in the US. Who knows how popular it might have been here, had it been introduced into the US market. We will never know. Admit it. I had you at least a little convinced regarding my 944R story. Frankly, the above story is pure fiction but the car as described is very real. 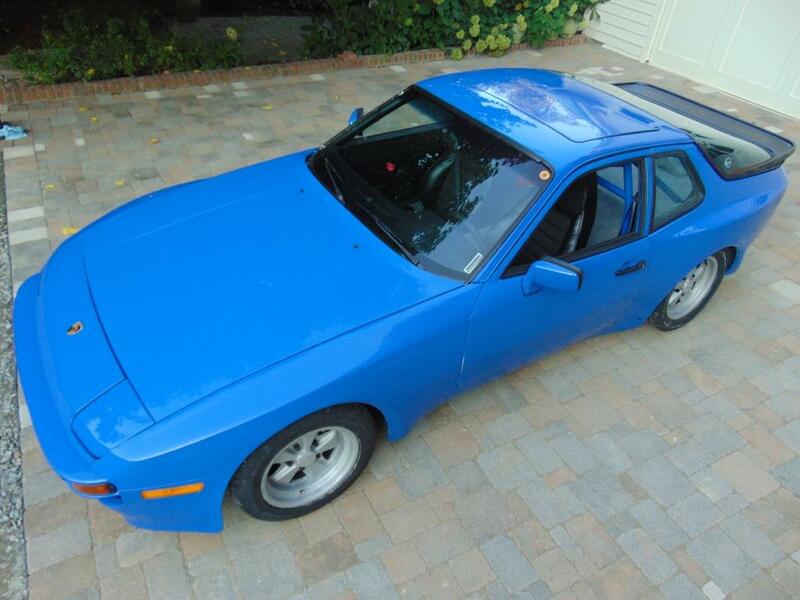 This is the reveal of the Porsche 944 street/track car that I have been blogging about for the last few years. It is finally done and ready to be shown off, driven, and enjoyed. That said, my 944R story is plausible in light of Porsche’s history in developing special versions of their street cars to be used in more performance enhanced settings. R, RS, and RSR models of the 911 are well documented. The 924 and the Cayman have also received the R treatment. But to my knowledge, not the 944. 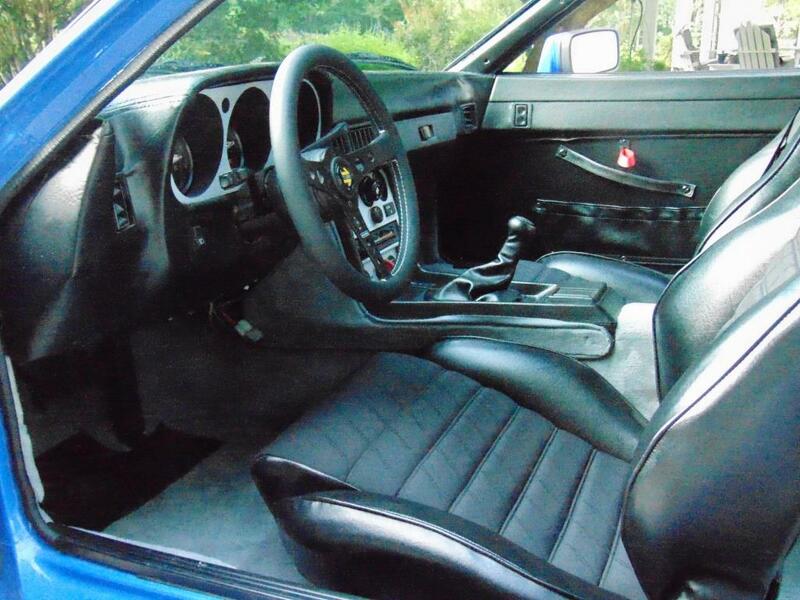 As documented in my build blog, I started out with a 1984 944 that I purchased mainly because it had sport seats and Fuchs wheels. It was a car that had been “rode hard and put up wet” as the saying goes. It was probably one step away from the crusher. After some soul searching and against common sense, I decided to bring it back. As the car could never be brought back to a “concours” condition, I decided to make the best of things and go with my vision of an R spec. Weight reduction, a tighter suspension, and a snappy paint job. I probably wound up touching 80% of the mechanical elements of the car and 100% of the cosmetic elements. My goal was driver safety, reliability, and a car that would stand apart in the crowd. I think I’ve achieved my goal but you can be the judge. Note that the mechanical specs noted in the above article are accurate for the car. For one brief moment, it weighed less than 2500 pounds. 2498 pounds to be exact. That was with the spare tire removed, an empty gas tank, and before I realized that the radiator fans had not been mounted! 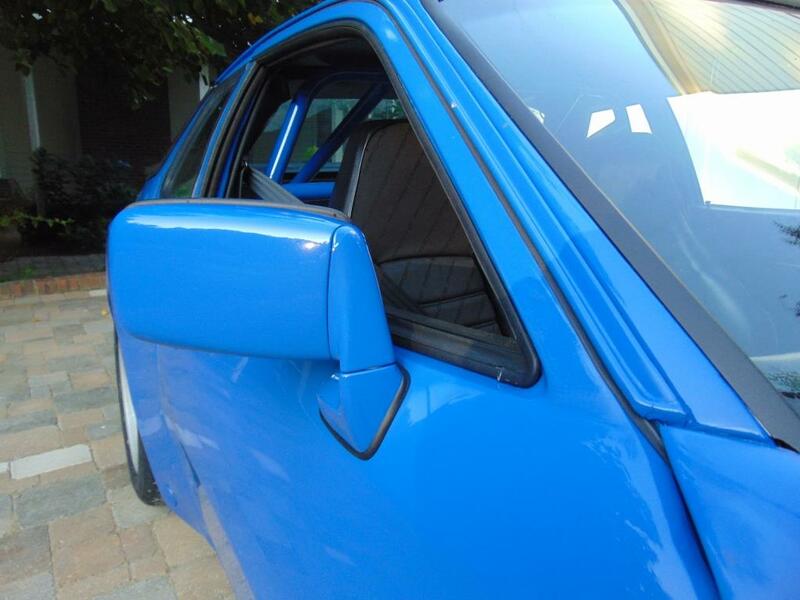 Regardless, the car is substantially lighter than stock, even with the addition of a rollbar. 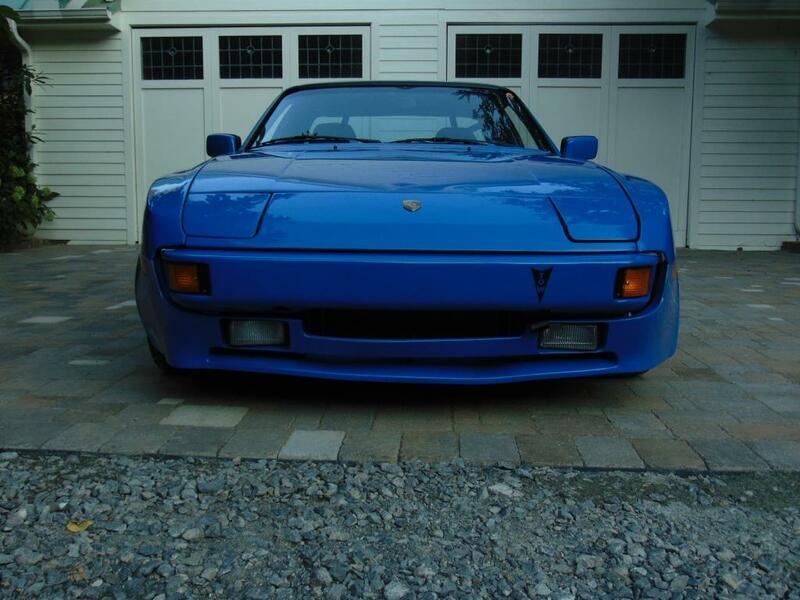 The suspension parameters noted above are accurate and probably on par with the suspension put in the 944 turbo. I think this will be an excellent car to use for spirited weekend drives or for a person who is getting started with track based high performance driving events. It has very neutral handling and with street tires gives the driver plenty of feedback. The lack of power steering may not be for everyone but my experience is the faster you are going, the less I notice it. 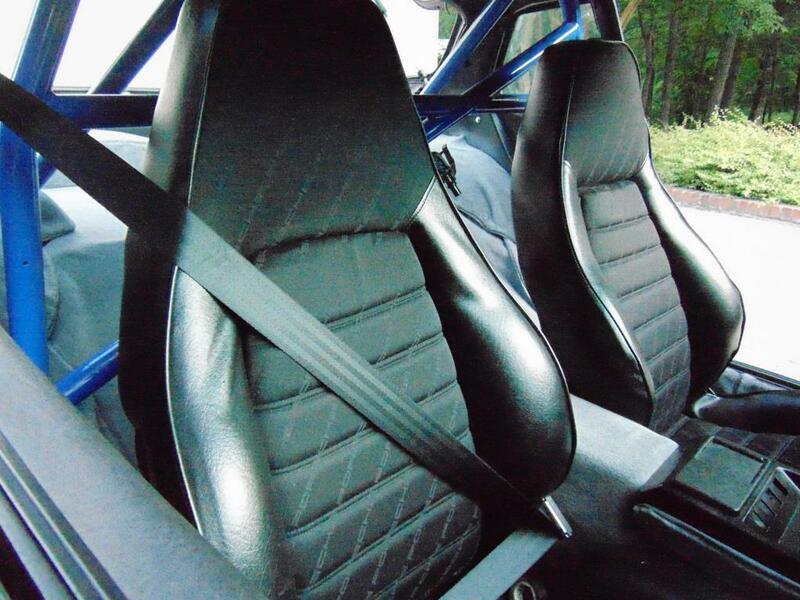 The sport seats are very supportive and certainly look great with their new old stock Porsche script cloth inserts. Folks will probably love or hate the paint color but you will certainly stand out in the crowd. This has been an interesting chapter in my car project life. I couldn’t be more pleased with the outcome.